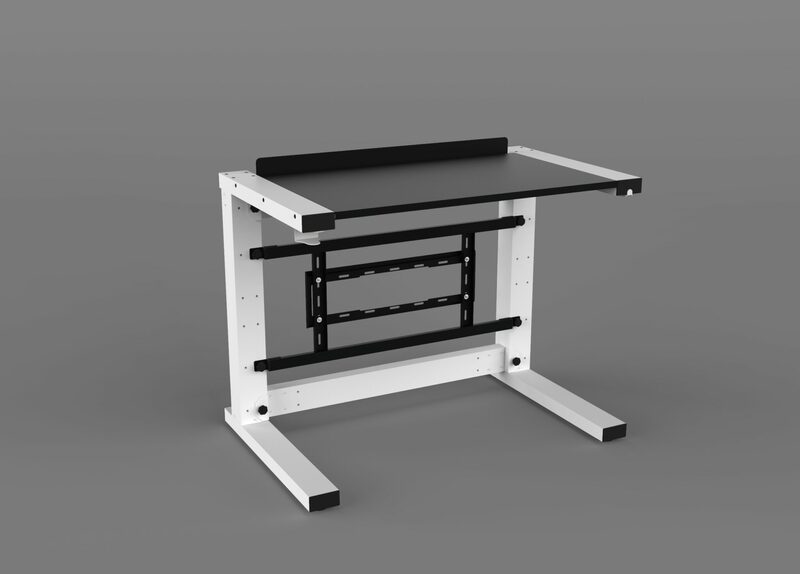 A solid stand with side latches that provide stability. 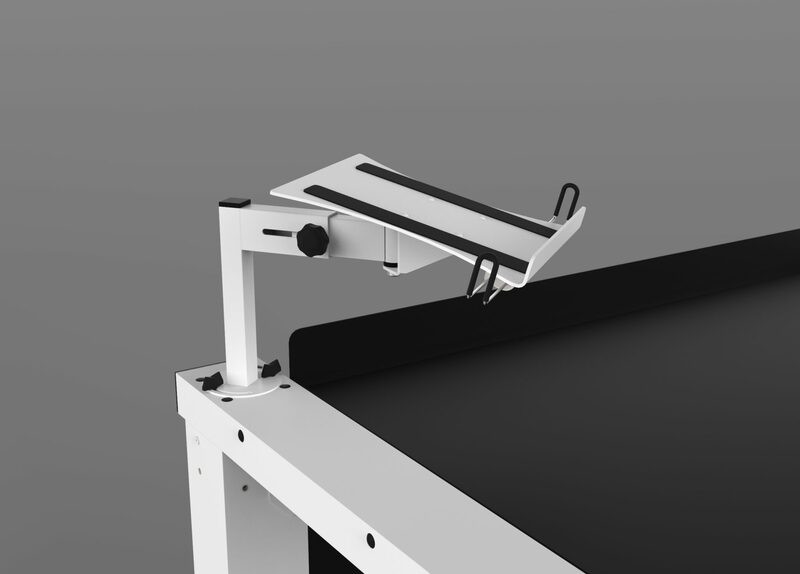 Thanks to the three-axis adjustment you can set the laptop in an easily accessible position. A laptop stand can also be used as a stand for a small DJ controller. 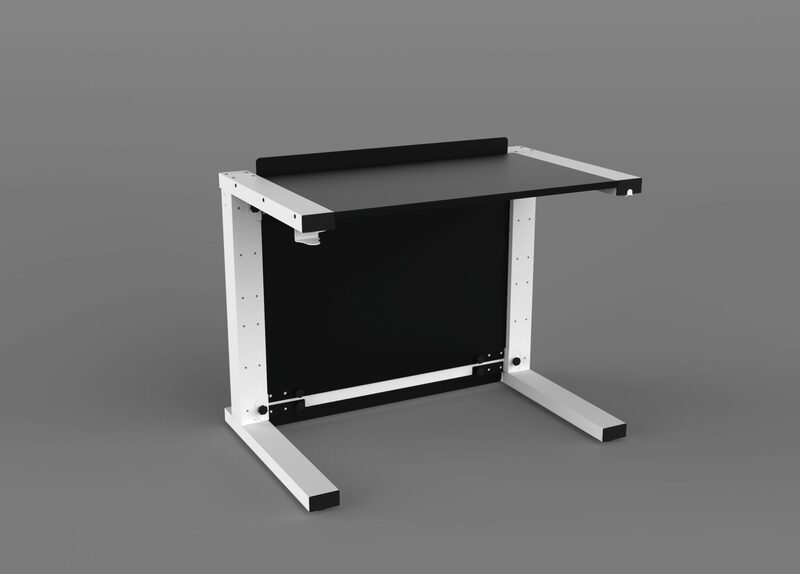 Side Shelves are a perfect addition to the mobile table, you can put monitors (fastened with a belt) or moving heads on them. 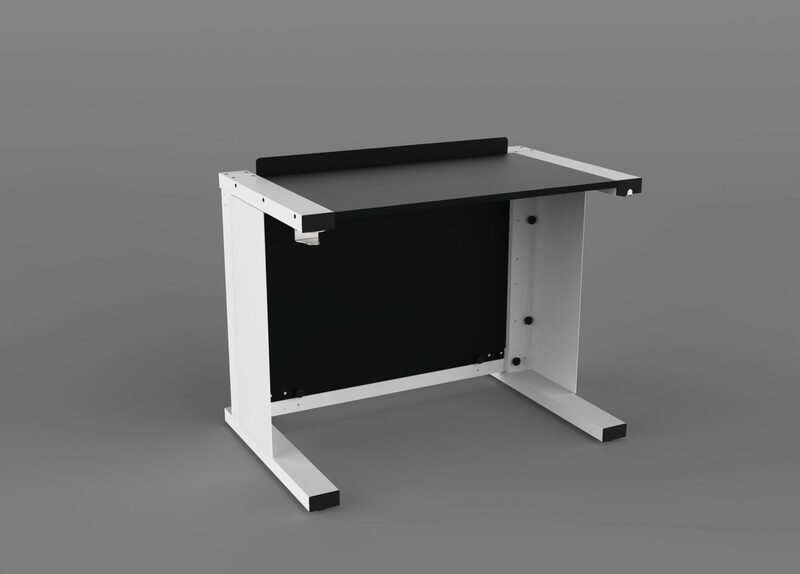 Additional side panels for the BASIC table will make wiring management much more pleasant – thanks to the side panels, your workstation will be more aesthetic than ever before. VESA TV Mount. 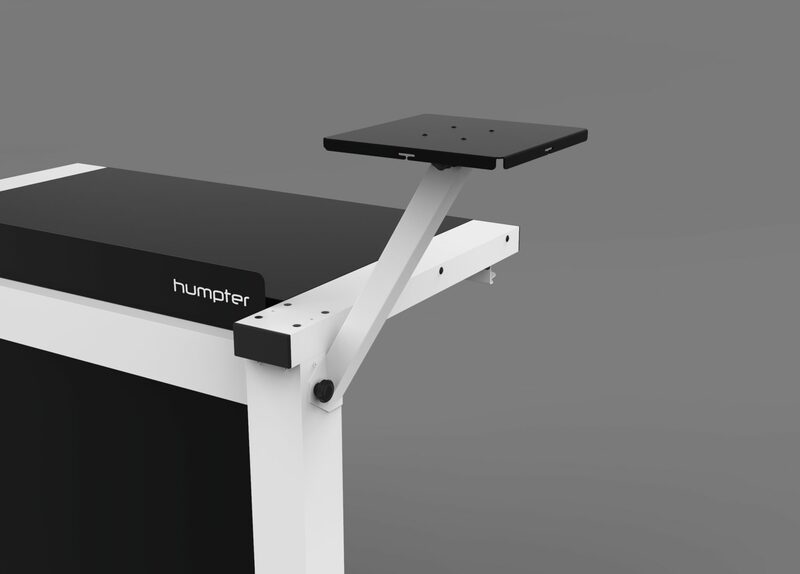 Thanks to this accessory you will be able to mount a TV (up to 47 “) on the front of the BASIC table, which will significantly improve the aesthetic value of your workstation. 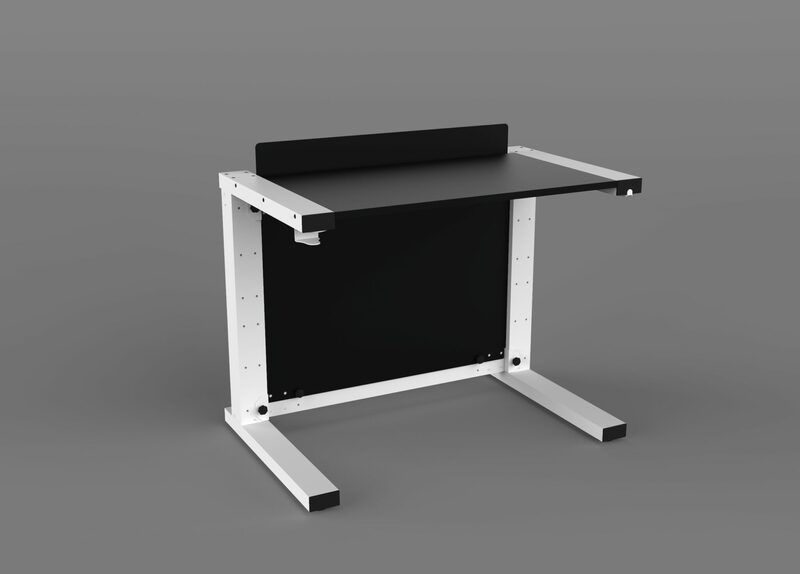 The upper panel of the BASIC table will help you effectively mask everything on the table top of your console. BASIC Lower Front Plate will help you elegantly and subtly hide the cables necessary to connect your musical equipment.